Fact: Hot cross buns are the best. 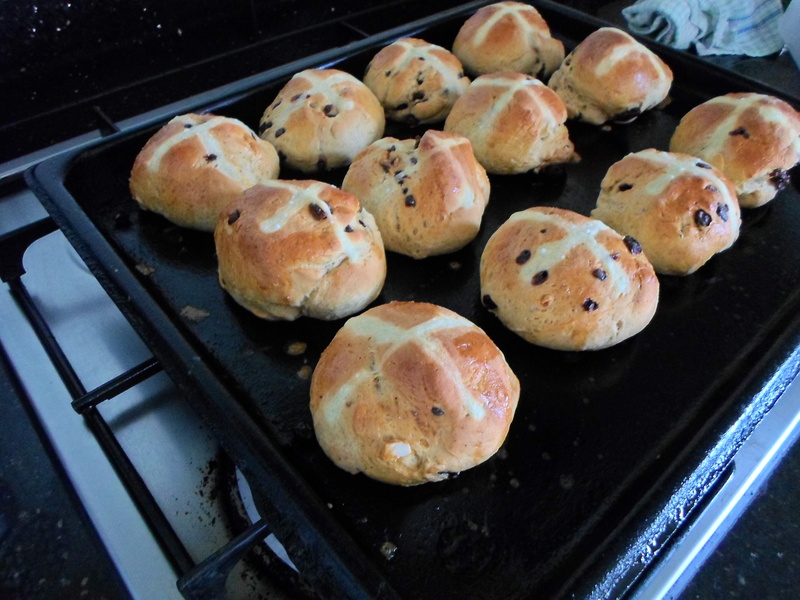 When I think about it, they are not the kind of thing that I ever particularly crave, but I do enjoy them so much every time Easter rolls around. The great thing about Easter is that, no matter which continent you’re on, the weather is usually nice and crisp, making these such a moorish treat. 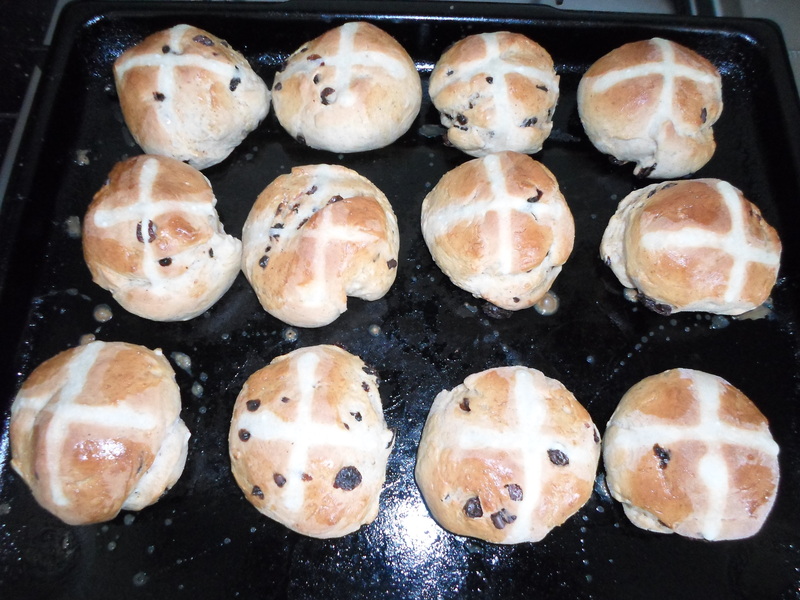 I was recently faced with a rather large pile of hot cross buns and I was astounded by the variety of flavours, no longer just your standard spiced fruit, no; Nutella, salted caramel, chocolate chip, gingernut, on and on and on. Unfortunately, none of this massive pile of yeasty goodness was for me. Even more unfortunate is the fact that come the morning of Easter Sunday, I realised we had completely forgotten to get any and due to all of the shops being closed we feared that we may have to go without. Instead I decided to make some myself. I am not sure why, but the idea of baking bread-based products fills me with an overwhelming sense of dread. I am always convinced that it is going to be a complete disaster due to the yeast not rising, or the fact that I am not very good at properly measuring the ingredients ever. Here is what I added but is in no way essential for them turning out so it is really up to you: 6 cloves a dash of vanilla 1teaspoon of mixed spice 1teaspoon of cinnamon ½ a teaspoon of nutmeg ½ a teaspoon of ginger ½ a teaspoon of paprika 120grams of dried fruit, almond slivers and chocolate drops. I used about 70grams of raisins, 20grams of almonds and 30grams of chocolate. The almonds add a nice crunch which emphasises the plump, juicy raisins. 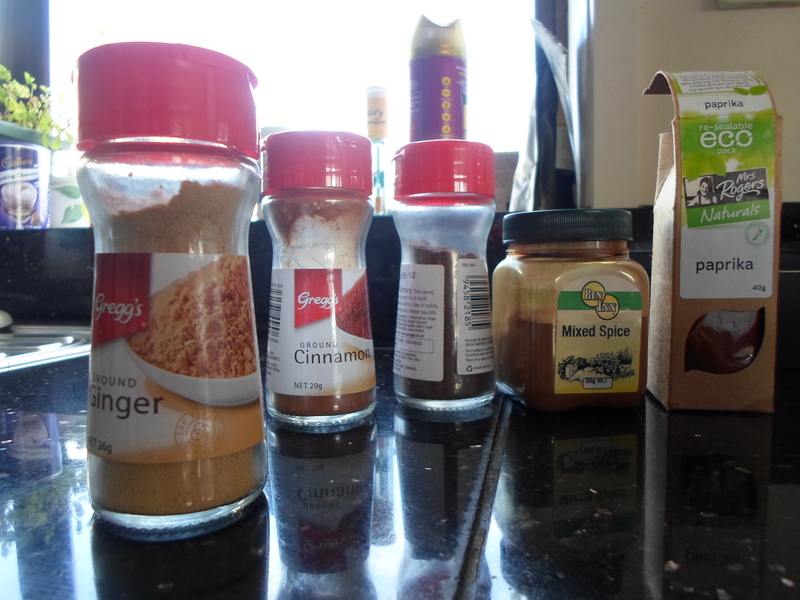 I added paprika because I think it gives a good kick to the mildness of the mixed spice, and with the addition of chocolate it is reminiscent of chilli chocolate which is up the on the list of faves. Combine the milk, water, butter, cloves and spices in a saucepan and gently heat until the butter has melted. 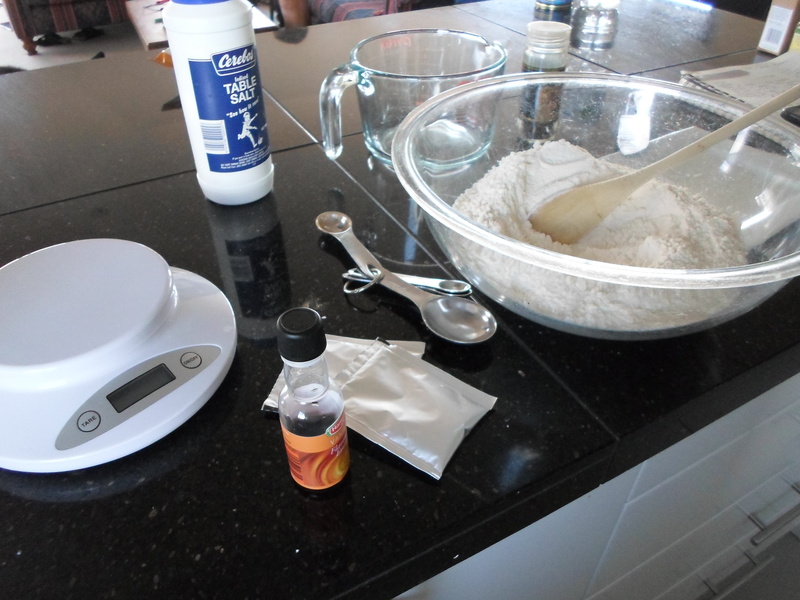 Remove it from the heat and while you are waiting for it to cool, combine the flour and sugar in a large mixing bowl. Once the milk mixture has reached blood temperature (that’s 34°C), mix in the egg, vanilla and yeast and mix in with the dry ingredients. If you are fancy and want to use a vanilla pod instead of vanilla essence like I did, add it to the milk before you heat it so it has time to infuse and take it out at this point… also take out the cloves… if you want, I didn’t because I thought they would be a fun little surprise to find when eating them, no one else thought this. I know that it says 14grams of yeast, that is because most sachets of yeast are 7grams, if yours are 8 then just use 16grams, or if you don’t have sachets, there is nothing wrong with 15grams. From my extensive research before starting this recipe, there are so many different ways the above steps can go. Some melt the butter and heat the milk separately, other add the egg and yeast to the flour instead of the milk. I can’t speak for how this affects the end product, I did it this way because it meant less dishes afterwards. Once you have mixed the milk and flour together, knead the dough for a good ten minutes, place back in the mixing bowl, cover with a tea towel and leave to proof for an hour. 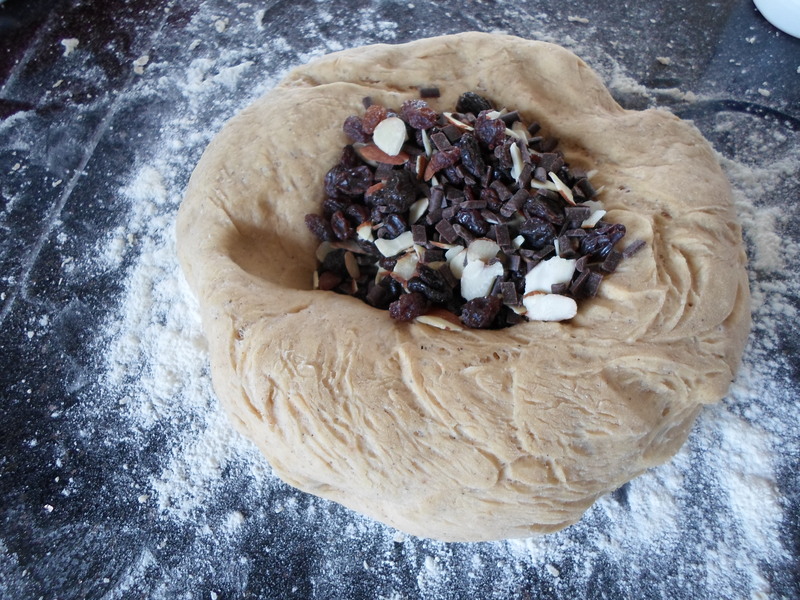 Once it has doubled in size, take it out of the bowl and sprinkle/dump the fruit and/or nuts and/or chocolate on top and knead to combine. 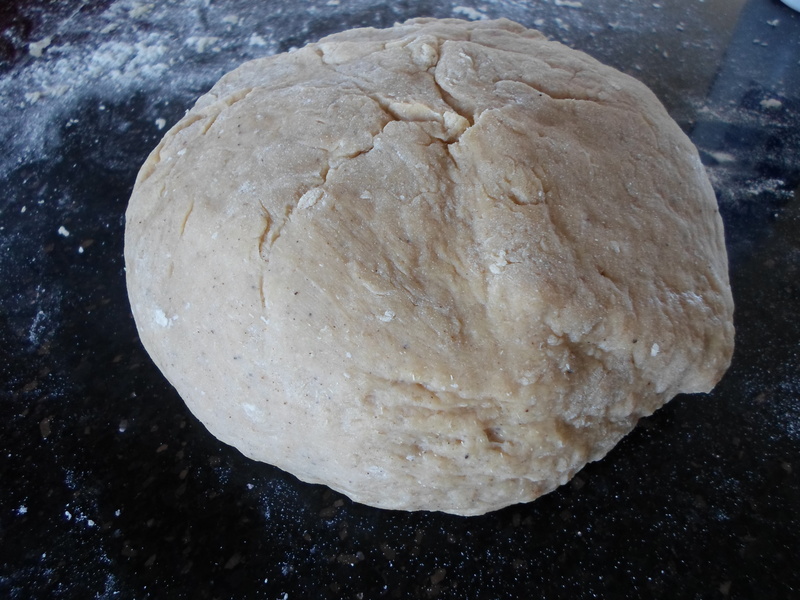 Divide and roll into 12 equal sized balls and leave to rise for another 30minutes. While you’re waiting, mix 2tablespoons each of flour and water together to make the paste for the crosses. 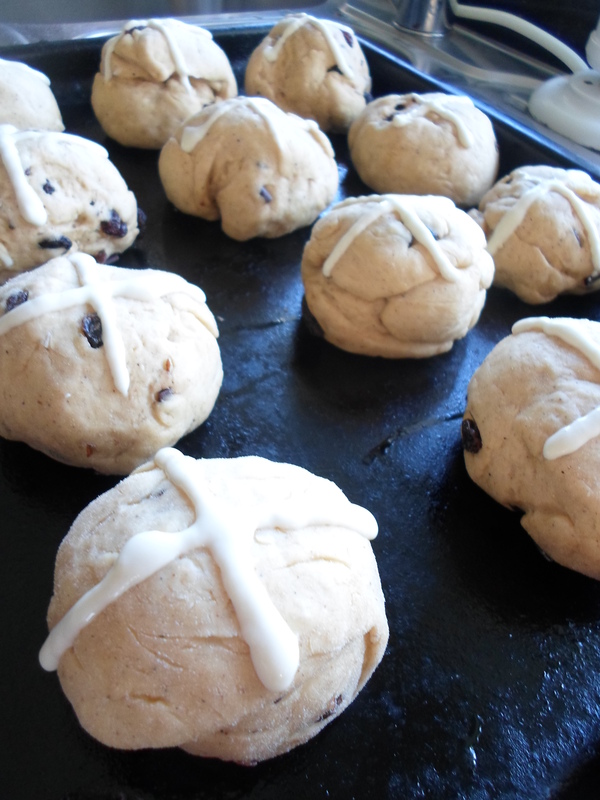 Coat the buns with eggwash and pipe the crosses on top. Bake at 190°C for 20minutes, glaze with warm apricot jam, warm caramel or just rip them open and enjoy with a knob of butter!